I ordered these to go in my living and dining area. They were perfect and they came in the longer length for my high ceiling. The colors were perfect a light white with small bluish green flowers. Very soft and flowing material. Love Love Love them. 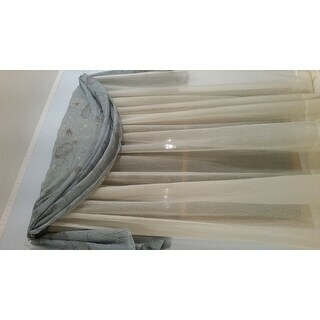 Create a light, airy look with this crushed curtain panel pair from Madison Park. 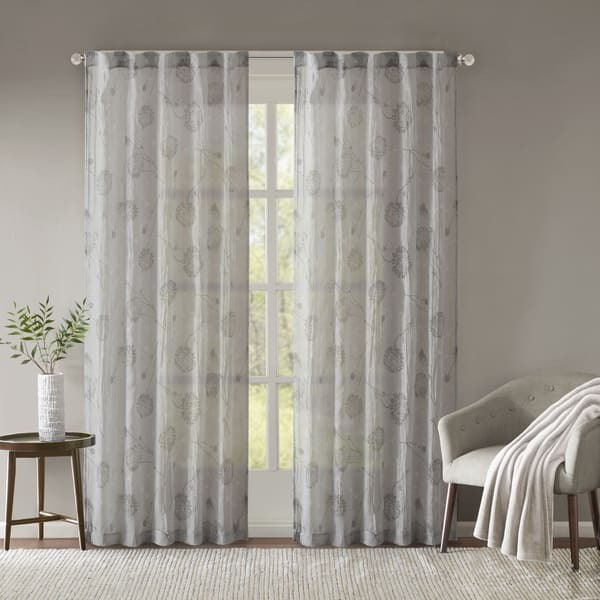 Made from durable polyester, this sheer set features a subtle dandelion print and a rod pocket header for easy installation. Choose from three color options and four sizes to perfectly suit your space. 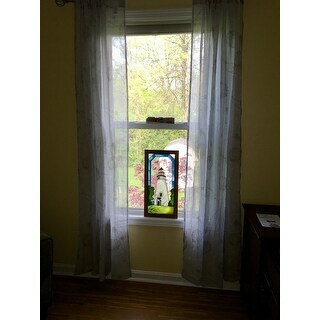 These curtains are gorgeous, and just what I was looking for! They looked great right out of the bag, no need to wash or air dry to get out wrinkles. Within three minutes they were up on my rod. The pattern is beautifully subtle. I highly recommend them. Looks just as represented. I got the blue and it perfectly goes with the Madison park duvet set I got. These are stunning curtains. They look so nice in my bedroom. The texture is not quite what I expected. The print looks more stamped on than woven. I'm not sure how many times I'd want to wash these. But they are quite lovely. Sheer has a delicate print which adds a wonderful dimension to the bedroom. Very nice sheers love the color, quick shipping, beats traveling all over the city to find exactly what I am looking for.